1. TRS Financial Audit - Report on Allocation of Pension Amounts Digest (FY18-TRS-Pension-Allocation-Rpt-Digest.pdf). 2. 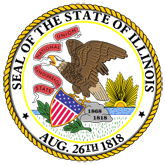 Teachers' Retirement System of the State of Illinois � Financial Audit - Report on Allocation of Pension Amounts (FY18-TRS-Pension-Allocation-Rpt-Full.pdf).